Dulce Serrano, age 55, retired two years ago after having spent her life working in the administration departments of various companies. But before long, she realized that working helped give her purpose and that her work ethic could still serve to inspire others. She wasn’t ready to be done. 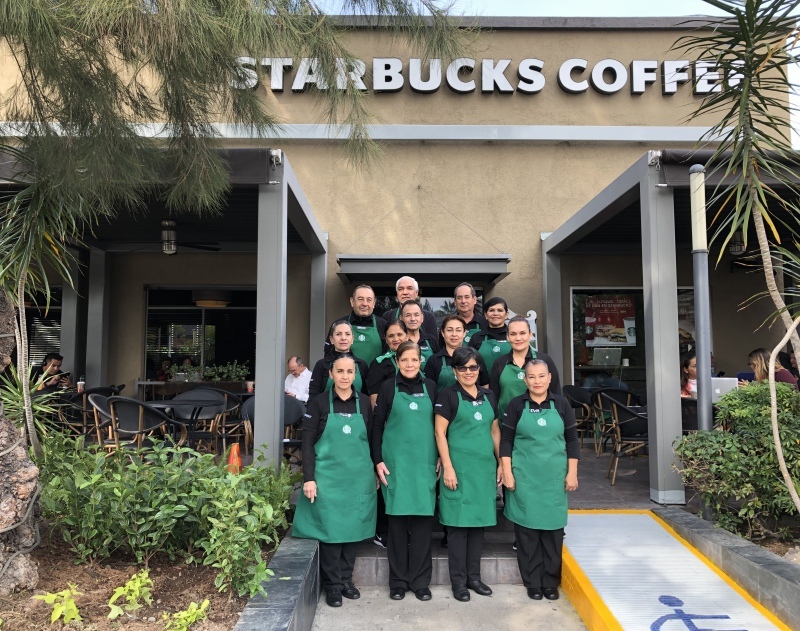 Today, she’s beginning the next chapter of her life as she, along with 13 other seniors, start work at an innovative Starbucks store in Mexico operated entirely by older citizens. After a progressive transition of the members of its previous workforce, this store located at Av. Guadalupe 1550, Chapalita Oriente, Zapopan, Jalisco, will be run by partners ages 52 to 66. It’s the second such Starbucks store in Mexico; the first opened in Mexico City last year. Five years ago, Starbucks and the National Institute for Elderly People (INAPAM) became strategic allies to ensure labor inclusion for senior citizens by creating opportunities that improve their quality of life and well-being. For both organizations, it is vital that senior citizens feel appreciated in a socially inclusive environment that cares about them and thinks of them as symbols of experience. Today, the company is strengthening its commitment to social inclusion by taking this store model to the state of Jalisco, with the aim of ultimately providing employment for 120 senior citizens in Mexico by the end of 2019. Gustavo Blanco Gómez is also part of the new team at Starbucks Chapalita, after having worked in retail most of his life. “I chose working here to meet different people every day, learn new things, get to know more about the world of coffee, and make a lot of friends,” he said.